We offer pleasant and comfortable guest rooms with shower/wc and tv. A generous breakfast is inclusive. A cosy tv lounge as well as a small patio are at your disposal. 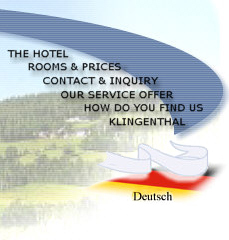 Our local Vogtland cuisine fulfils even gourmets’ expectations. Distinguished wines and great beers can be enjoyed in a comfortable atmosphere. Half and full board can be arranged. 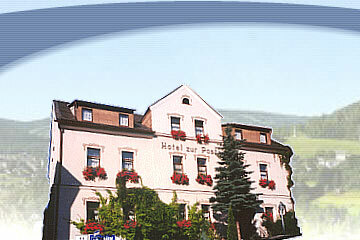 The ideal base for experiencing the beautiful region "Oberes Vogtland" and its local cuisine. Our hotel in a very central yet quiet location has been familiy-run for 90 years. Both public transport and the Czech border are within walking distance. Additional points of interest include the zoo, the Museum of Music and Winter sports as well as the round church, all of which are nearby and just a short walk away.